Come see us at 2617 South Drive, Abbeville. 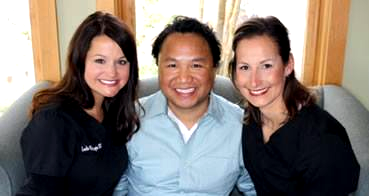 We are always here to help, and we have more than enough dentists. If you just have some questions, please feel free to use our contact form to reach us. Otherwise, give us a call! Accepting New Patients! Call today for your New Patient exam and cleaning! 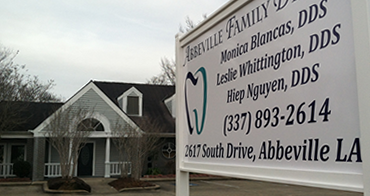 The Abbeville Family Dental team of dentists, hygienists and dental professionals is committed to providing quality dental care in a relaxed environment for your entire family! Patient comfort and satisfaction are held to the highest standard and we are committed to your overall health and well being. We understand you have a choice when it comes to your dental needs, and we are excited you have chosen to visit our website to learn more about our office and what we can do to help you achieve a healthy smile for life! We treat every patient with the same care and compassion that we set out to provide every single day. Having three doctors on staff makes it considerably easy to call to get an appointment with short notice. If you are experiencing dental problems, we are always here when you need us. Give us a call if we can help.